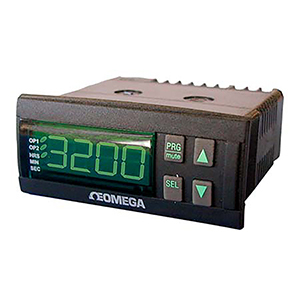 The PTC-14 programmable timer, packaged in a compact 75 x 33 x 69 mm (2.9 x 1.3 x 2.7") housing, is an extremely versatile product offering nine operating modes applied to two timed output relay contacts. When only one of the timers is being used, the other output acts as a set of instantaneous changeover contacts. The single model provides timing from 0.1 seconds to 100 hours.